By default, all activity notifications for donations and registrations will go to the email used to set up your Flipcause account. 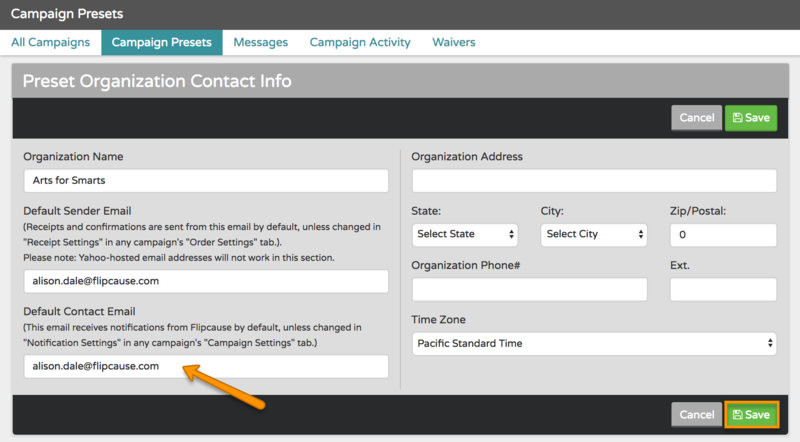 To change the preset email that will receive notifications navigate to Campaigns > Campaign Presets > Preset Organization Contact Info > Default Contact Email. 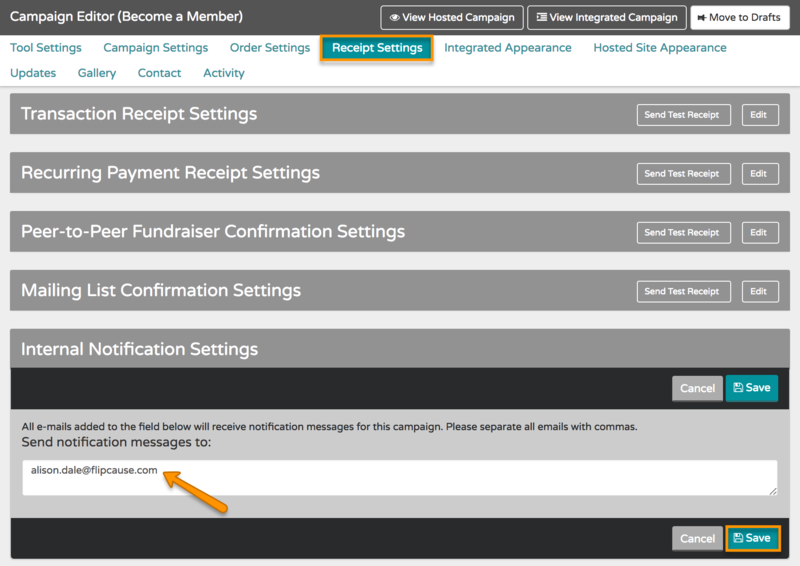 You can also control the notification settings per campaign by going to Campaigns > Edit This Campaign > Receipt Settings > Internal Notification Settings and adding the emails you wish to be notified to the list, separated by comma. Every email you add to the notifications for the campaign will then receive an email whenever activity takes place.